The other weekend i showed you my newly made over study (click image to see more). 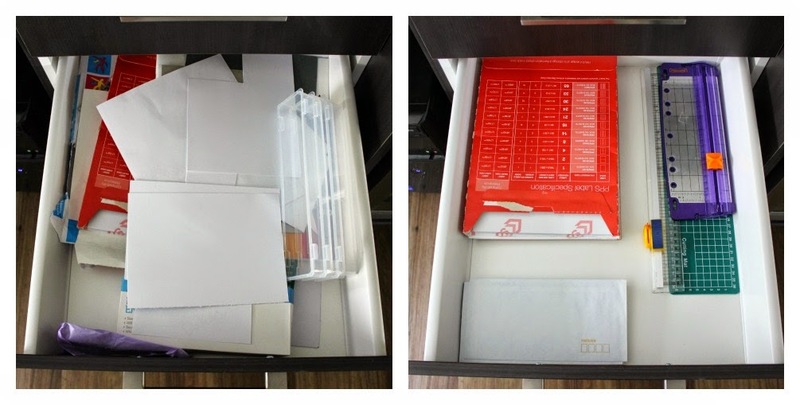 I mentioned at the end of the post how i needed to sort out the drawers. 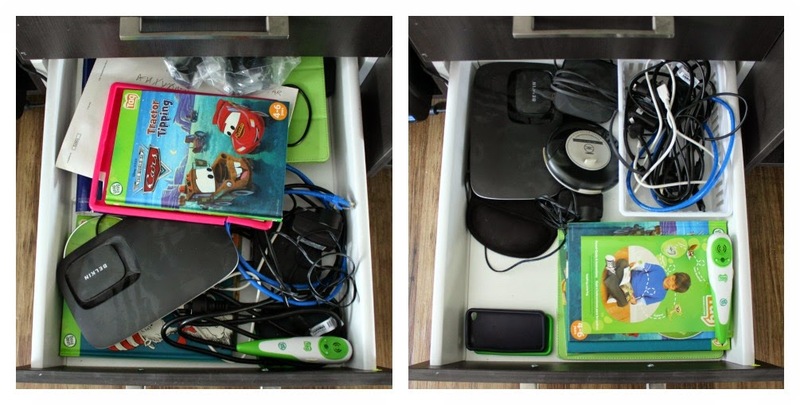 The drawers haven't not been tidied since the study was installed at the start of the year. With the kids going through them this became my hidden messy zone. You know those spots that are hidden so you just let it get a little crazy. 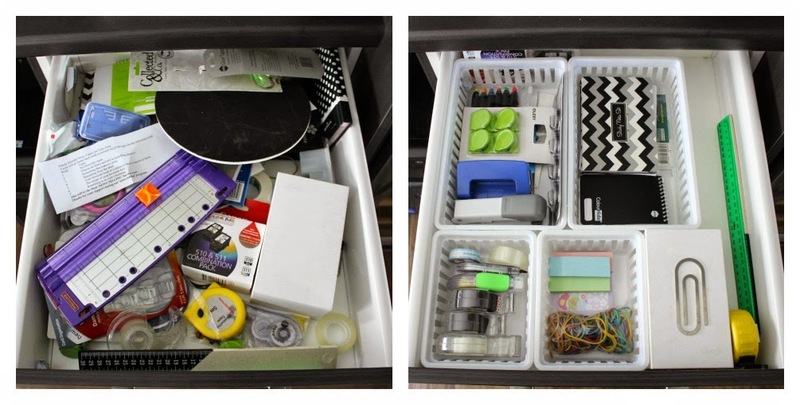 I don't really use these drawers often as most the items i use are up on the shelves but knowing how messy they are were starting to get to me so yesterday i got out some of my trusty Kmart baskets and gave them a tidy. 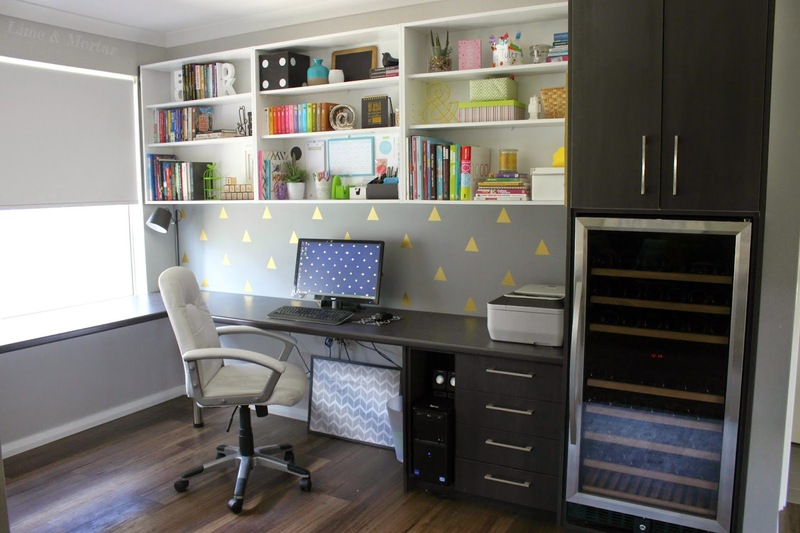 Have you got a messy hidden spot in your house? Where is it? I have a hideous second draw - chopsticks, tongs, knives the works all tumbled in together. It needs some serious attention!! The worst in our house is probably DH's random wires all stuffed into a boxes. Drives me crazy!! 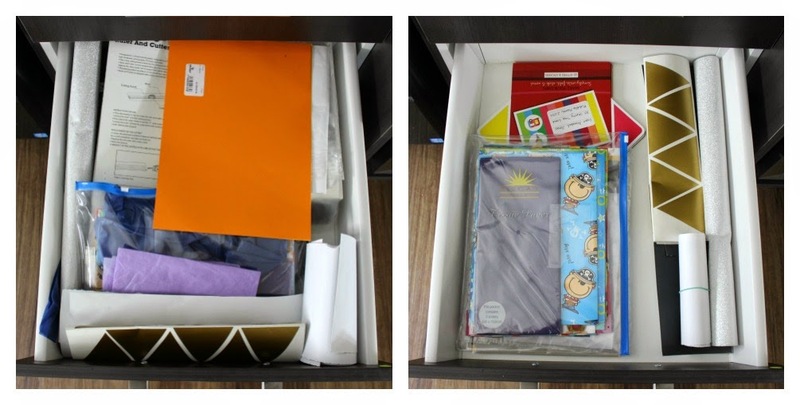 You've inspired me to tackle my study drawers now too :-) Mine are so messy at the moment and the kids just love pulling everything out from there! !